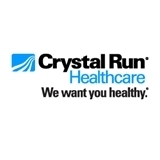 Crystal Run Healthcare (Rock Hill) - Book Appointment Online! It was good. Would see her again. i felt very comfortable with Dr.Peng . She was receptive to my concerns and condition. Awesome Doctor!!! Staff is great also! Thank you!